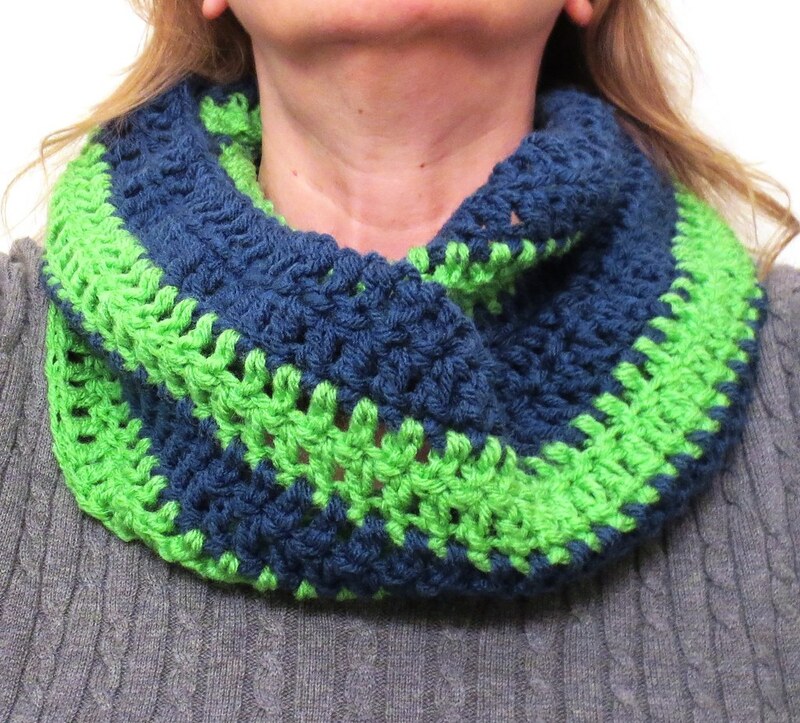 Here is the free pattern link to the cowl scarf pattern. 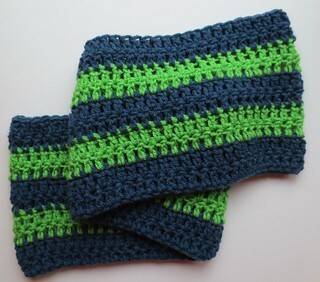 I call this pattern my simple and comfy cowl scarf as it’s just so quick and easy to crochet. 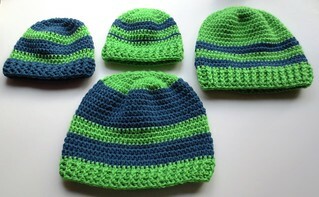 Here are more crocheted hats in several different stripe patterns I made just using up scraps of yarn. I used my ribbed hat pattern to crochet the adult sized hats. 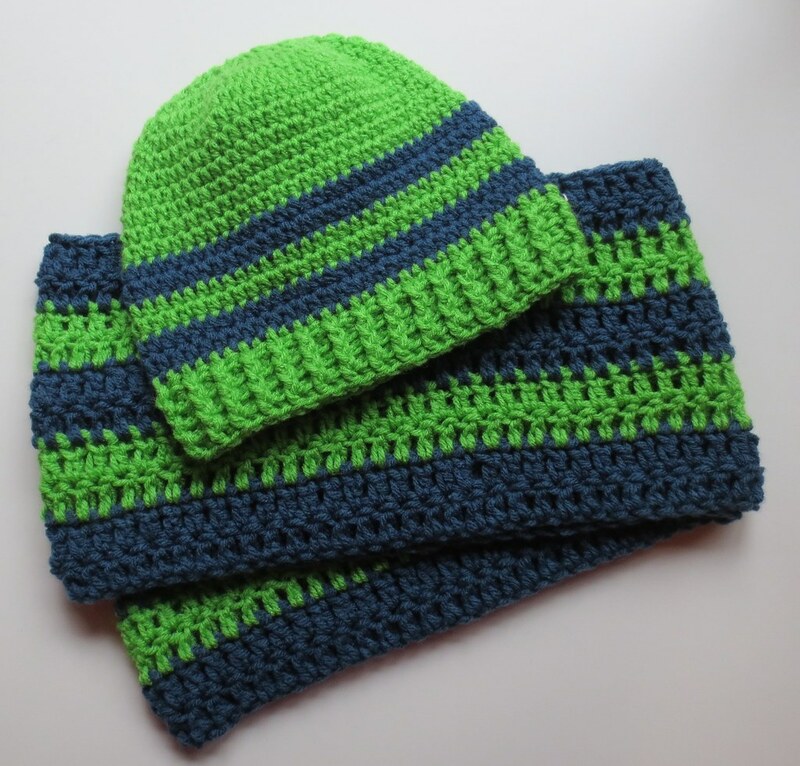 The children’s hats were crocheted using the baby ribbed hat pattern. As always, all my crochet patterns are available free for personal and charity use. 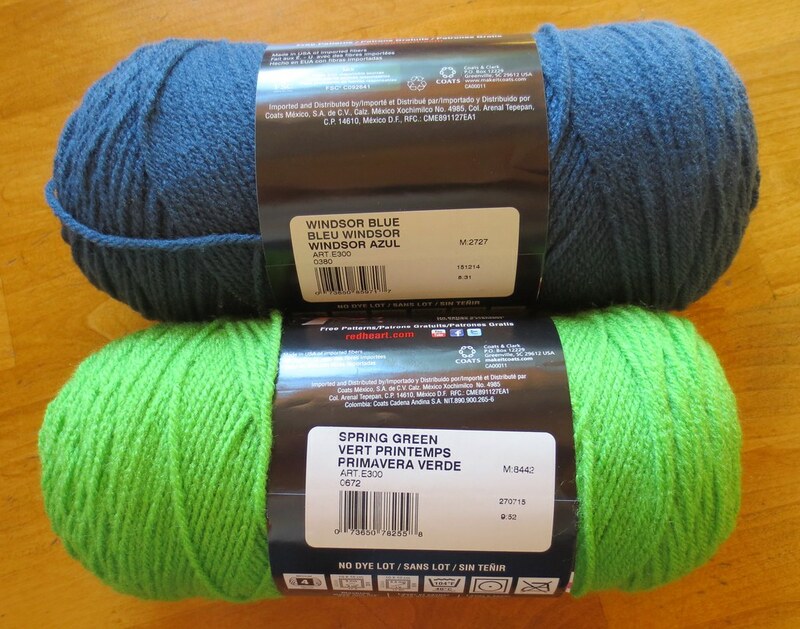 So grab your favorite team colors yarn and crochet some fun winter gear! it is a nice cape.